World Gardening is a commitment of the National Garden Club, Inc. and The Federated Garden Clubs of Connecticut, Inc. to aid humanitarian and environmental efforts outside of our American borders. We collaterally recognize that what happens in any corner of the world affects us all. We work through the National Garden Club Inc. to provide monetary donations to programs that are committed to supporting conservation, restoration and disaster relief projects in the global community. Global Partners, Running Water, Inc. This group brings fresh drinking water to Los Llanos in El Quiche, Guatemala through drilling of a well and the installation of a pump, powered by a diesel electric generator. The water is pumped to a storage tank and distributed potable water by gravity through PVC piping to each household (263 families- approx. 1578 people). This prevents the spread of disease from contaminated water sources, provides irrigation to the crops and saves the women and children many hours of carrying water from sources miles away, so they can now lead more productive lives and attend school. 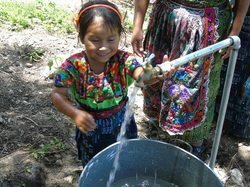 Donations were also made to their water project in La Puerta Chiboy Chiquito Guatemala for a well servicing 148 families ( approx. 900 residents) of the town. 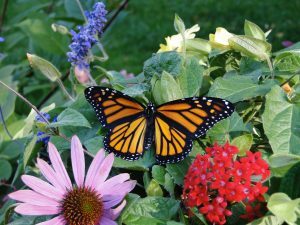 Donations went for the reforestation project in Mexico, where the Monarchs winter annually. The deforestation in overwhelming sites throughout this country was the second threat to the Monarch’s existence. Through our donation the Mexican government and local communities helped to protect the current remaining forest by patrolling for illegal logging and fires, promoted sustainable ecotourism and created ten tree nurseries for the reforestation process. Donations created ten bee hives and educated the families who received them about how to care for the bees and make honey for sale. The bees would also improve crop production in the area. 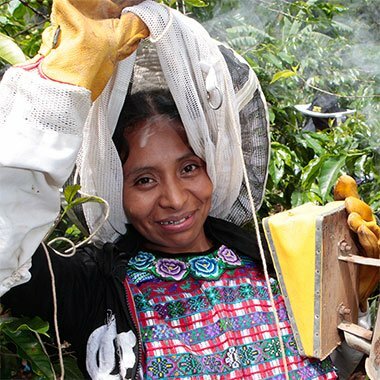 Families receiving beehives are then required to “pay forward” for another family in their village. Our Federation’s World Gardening Fund is maintained solely through the generous contributions from our individual Connecticut garden clubs and interested individuals. Funds collected are kept in a restricted account, separate from the general fund, and they cannot be used for any other purpose. We thank you for your generosity to these environmental and humanitarian efforts. Consider donating to the FGCCT’s World Gardening Fund online now.